Cottage cheese is pressed through a colander. Milk is heated up to the boiling point, cottage cheese is added and the mass is heated until whey is separated. The mass is put on the colander for infiltration. 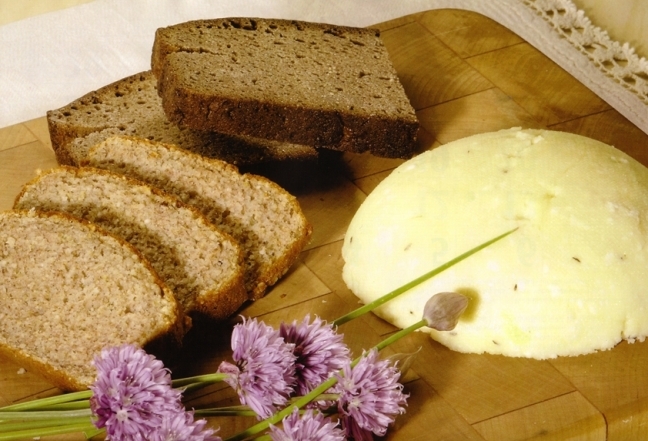 Butter is melted, cottage cheese is added, then salt and the mass is stirred until it becomes even. The mass is then cooled a bit and whipped eggs and caraway seeds are added. The mass is put into a ramekin that is watered with cold water or on a colander, covered with twofold cheesecloth for infiltration. The meal is ready to be served on the next day. The meal is eaten in cold form. Sõir is well suited for breakfast menu as sandwich coverage. 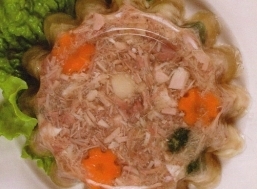 Our northern neighbours offer sõir as a festive cold dish, perhaps we could do the same. And as said above, several food products could be added to sõir: herbs, fish and meat products, mushrooms, vegetables. It is also possible to make sweet sõir by adding fresh, dried and sugared fruits and berries, nuts, raisins.